If you like the idea of a wine cellar, how about a wine cave? Looking for a gorgeous home with something a little more unique than a pool and home theater? Estately has graciously spotlighted 13 homes for wine lovers that are so beautiful, an affinity for wine isn't even a requirement. But if you do love wine, you'll find these homes offer something just for you. For example, a $10,800,000 property in Big Sur has a hot tub with a view that is begging to be enjoyed with some vino, and a $6,850,000 home in Santa Monica has a modern wine cellar done in a concrete bee hive-style that fits seamlessly into the design of the gorgeous home. 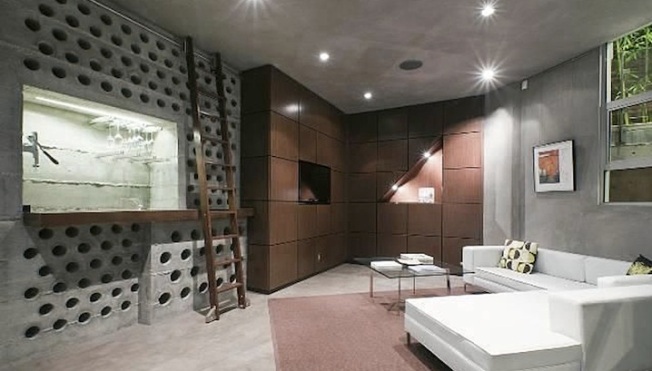 And, you'll love the wine cave (not cellar, cave) in a $25,000,000 home in St. Helena, CA. Cheers to that! See all the wine-tastic homes on Estately.